surviving on cigarettes and processed foods. She dealt with the stress by drinking every other night. When Linda turned 26, her failing health took another plunge. Her periods disappeared and she was prescribed hormone pills. She also developed raging eczema. Doctor after doctor said the same thing—there was no cure or reason, and the only remedies were steroids and creams. Linda’s body developed a resistance to the medicine. The rashes became a continual source of torture and agony during many nights. Desperate, Linda delved into researching skin health, and its relationship with beauty and internal health. Raw foods seemed like an impossible idea. She took to it with the same experimental penchant she had in other areas of her life. Even only after a few days, Linda could feel a change inside her body and knew that something phenomenal was happening. In 2007, she took a raw food course in Boston, USA, where she experienced the power of living foods. During the course, Linda had access to world-class trainers on both raw food preparation and personal development. Each day was packed with training on raw food preparation, terminology, and character development to qualify as a living foods teacher. She was surrounded by people who had healed themselves of ‘incurable diseases’ using living foods and Yoga. The learning curve was exponential. Coupled with the incredible raw gourmet food available all day long, that period became one of the first major turning points in Linda’s journey of healing and sparked a compelling desire to be the Raw Food Ambassador of Asia. 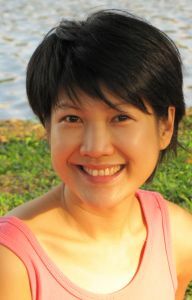 Linda writes inspiring articles on raw and living foods, yoga, health, and wellness at livingfoodslindaloo.com. Visit her blog today to find out more.